The Scottish Military Research Group - Commemorations Project :: View topic - Ayr Corporation Tramways. Posted: Sat Aug 08, 2015 3:13 pm Post subject: Ayr Corporation Tramways. This Roll of Honour is, at present , on display in Rozelle house as part of the Next of Kin Exhibition. This is a touring exhibition about Scottish Families and the Great War. Some notes about the Tramways Dept. Ayr Corporation Tramways commenced operating in 1901, and continued until 1931. At the outbreak of war, all the drivers and conductors were male. As happened in public services and workplaces throughout the country, many of its staff volunteered to join the forces, and women were recruited in their place. A total of 55 men from Ayr Corporation Tramways served in the forces during the war, and ten lost their lives. A plaque bearing their names was placed in the tramways depot on Prestwick Road, and it is now in the care of South Ayrshire Libraries & Museums at Rozelle House, Ayr. The Roll of Honour also states "European War 1914-1918" which is something I have never seen before. The first 11 names were all killed and the next 2 died on service. Additional Information: Son of James and Jeanie Ralph, of 11, Pleasantfield Rd., Prestwick, Ayrshire. Cemetery: Duisans British Cemetery, Etrun. Additional Information: Son of James and Jeanie Ralph, of II, Pleasantfield Rd., New Prestwick, Ayrshire. Wigtownshire Free Press (24/5/1917): War has taken a heavy toll from Mr and Mrs Ralph, 11 Pleasantfield Road, New Prestwick, in that they have lost two sons in five days of each other. Private James Ralph, who died of wounds at a casualty clearing station on 12th April, was 23 years of age. He enlisted with the RSF in July last year, previous to which he was a conductor on the Ayr Corporation Tramways. His brother, Private John Ralph, who was also a conductor of the tramcars, enlisted in the HLI in October 1915, and was accidentally killed through the collapsing of a dugout on 17th April. He was in his 20th year. Another brother, Gilbert, enlisted in the RSF, was wounded, and has twice suffered from shell-shock, and has been in hospital since November. 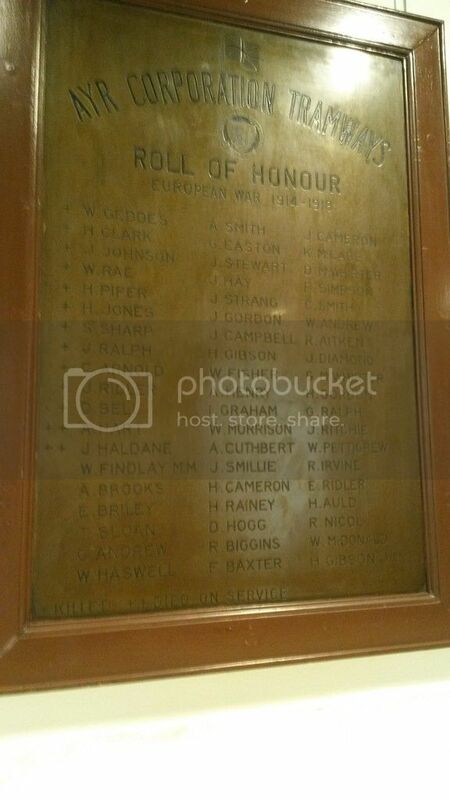 Also named on Prestwick War Memorial.